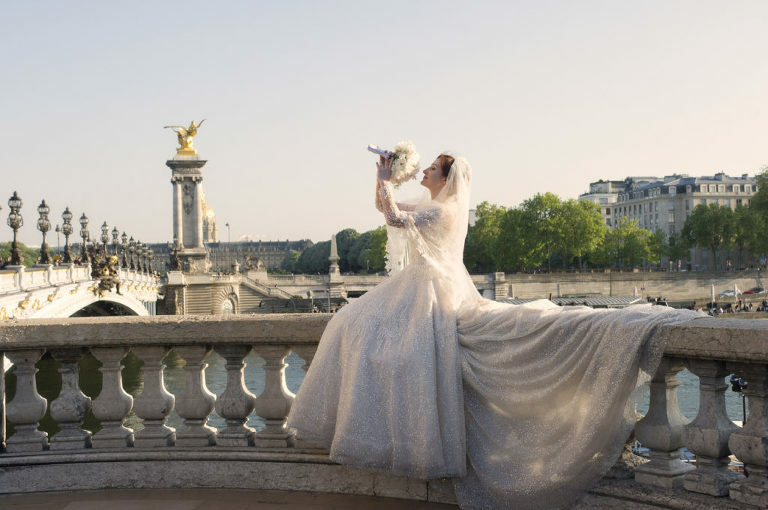 We are thrilled to introduce our latest wedding video shot in Paris recently. 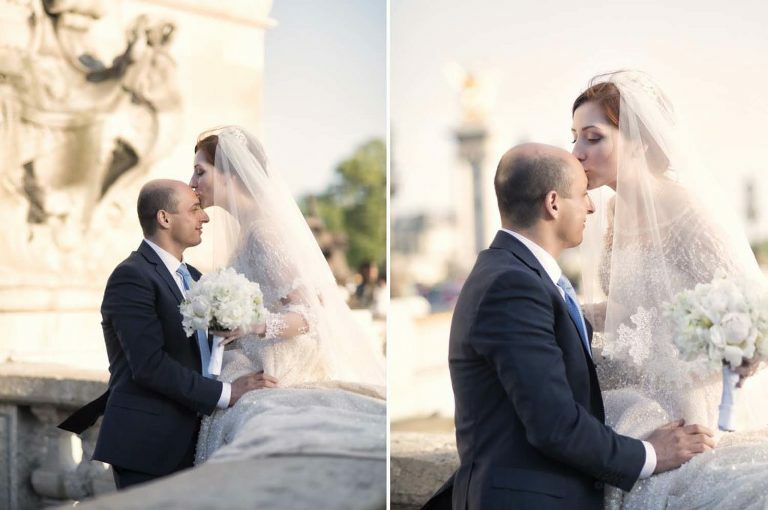 It is actually an elopement video counting the story of Nidal and Petima who decided to fly all the way to Paris to seal their union at the Shangri-la hotel in a very simple manner. 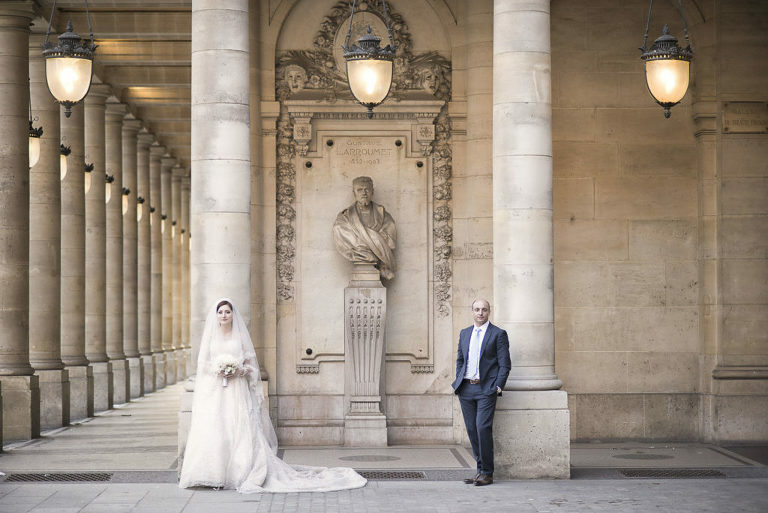 They had just recently planned two large events, both for families in Russia and Israel and were dreaming of a more simple affair in Paris where they could escape and celebrate their love for each other in a more private way. The video we produced is very much in the same line of our style of photography. We aim to produce stylish & fun, natural footage and to stay true to our clients personalities. 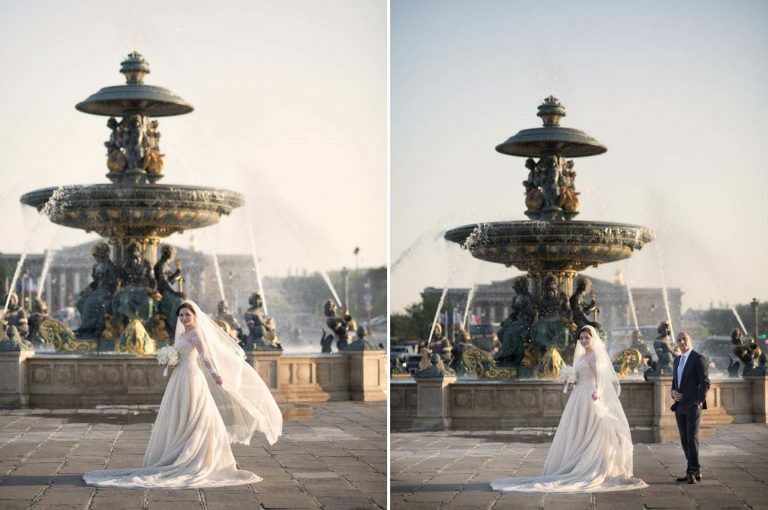 We chose black and white footages for its timeless and romantic feel. The aim of the video was to document our couple afternoon in Paris in very much of a lifestyle manner. We first met at the Shangri-La the day before their elopement. I asked both of them to write a few thoughts about their partner and I conducted a little interview of the two of them separately for an hour also. I wanted the two of them to simply tell their story; how they met, the first kiss, the proposal, their love for each other and so on. The interview was inserted over the footage as a voice over. It was a lot of fun to do. This way we got to know each other very quickly before their big day. By the time we met again at the hotel the next morning, it was as if we had known each other for years. I like meeting new people, and I love what I do. We simply had a wonderful time over a couple of days with the two of them. The end result is a lot of fun to watch and is also quite moving. This is what we try to achieve with our wedding videos. We want the final product to be true to our clients, and simply show their love for each other without artifacts with beautiful light, a gorgeous city in the background. The essential is to keep on track and tell the story of their love in a natural way. You can view some of our destination wedding videos on our video page.